Even if they are present in very large numbers on Earth, microorganisms are not well known, especially on the sixth continent. For this reason, the BELDIVA project aims to explore the microbial diversity within a 200 km radius around the Princess Elisabeth Station. Few animals live on the station's site, mainly snow petrels nesting in rocks and their predators, skuas. These migrating birds leave Antarctica in the winter.The only organisms living all year around on the station's site are microorganisms. Different types of organisms are observed: lichens, algae, bacteria and cyanobacteria. 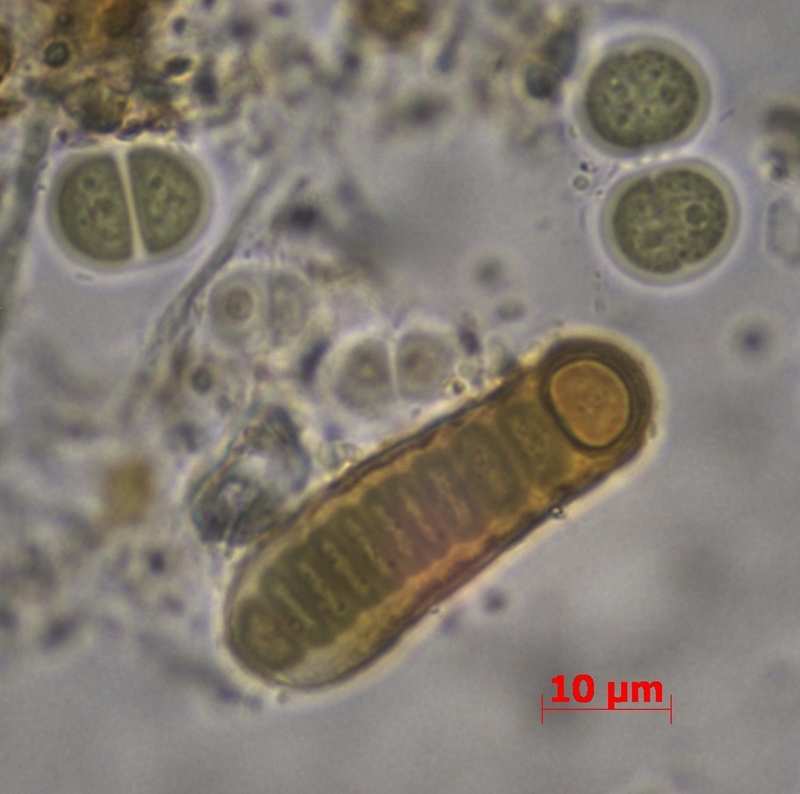 These organisms are studied by the members of the BELDIVA project in which several institutions participate: University of Gent (study of algae and bacteria), University of Liège (study of cyanobacteria) and National Botanic Garden of Belgium (study of lichens). Annick Wilmotte, member of the expedition, has collected samples on the site of the station and on different nunataks in its vicinity to study the diversity of cyanobacteria. Also called "blue algae", cyanobacteria carry out photosynthetic activity. By producing oxygen, they have contributed to the apparition of the atmosphere's composition as we know it today and to the expansion of life on Earth. In spite of their microscopic size, they are therefore important organisms. Through the collected samples, the scientists from the University of Liège seek to identify the cyanobacteria communities that are present in the eastern part of Antarctica, more specifically in the Queen Maud territory. They will be able to increase the number of available samples, analyse the evolution of cyanobacteria and detect future modifications induced by climate change. the microscopic approach provides information on the morphology of cyanobacteria, that is their form, their organization, their pigments and their structure. - the molecular approach provides information on the evolutionary history of the bacteria. The genetic code of the bacteria is analysed by researchers to understand their history and their evolution. More precisely, researchers extract and analyse ribosomal DNA sequences. The first approach has already been applied to all the samples. It has not yet been possible to carry out the second approach. It was necessary to optimize the DNA extraction technique on terrestrial cyanobacteria first. Until now the technique was mostly adapted to aquatic cyanobacteria. The first results obtained show important diversity. Cyanobacteria sampled on the different sites are mainly associated with gravel or stones. A total of 11 different morphotypes have already been identified. We speak of different morphotypes when organisms of the same species have different « observable physical characteristics ».